“Garbage In, Garbage Out.” You have to input key variables with precision if you want your Ballistics Apps to deliver reliable long-range trajectories. So says Tom Beckstrand, Field Editor for Guns & Ammo magazine. A former U.S. Army Special Forces Officer, and avid long-range competitor, Beckstrand knows the importance of using your ballistic calculator correctly. 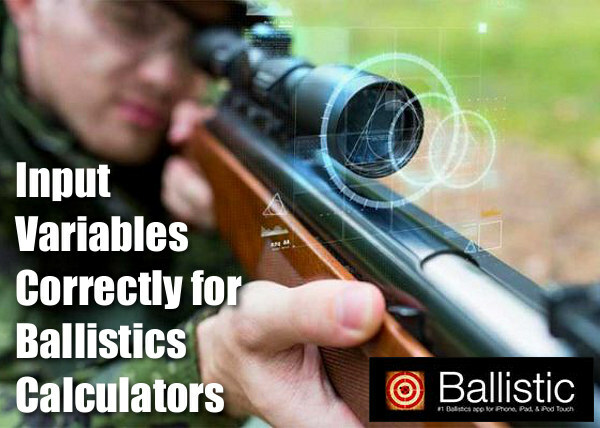 Here are his tips on how to achieve the best results using Ballistics Calculators. “The most important inputs to make any ballistic calculator work correctly are muzzle velocity, ballistic coefficient, and sight height,” says Beckstrand. “Cheap chronographs will not give an accurate muzzle velocity, so the serious shooter needs to spend the money on a quality chrono.” When you chronograph, make sure to measure the distance from the muzzle to the chrono unit. That input is also important to your Ballistic calculations. Beckstrand added, “Ballistic Coefficients are available from ammunition and bullet manufacturers, and most of these coefficients the manufacturers provide are really quite accurate.” Ballistic Coefficient or BC, is a number that reflects how well a bullet cuts through the air. The higher the BC, the less the bullet is affected by air drag. Beckstrand has found that many shooters aren’t inputting sight height or they are guessing at the correct height. As target distance increases, just a half-inch of sight height inaccuracy can mean several inches up or down. Sight height is the distance from the centerline of the scope to the centerline of the bore. Some shooters, Beckstrand believes, just “eye it up” and estimate the distance. “Really, you should use a set of calipers to measure the sight height distance … within 0.1 inch”. 5. Projectile and BC Databases are very comprehensive. 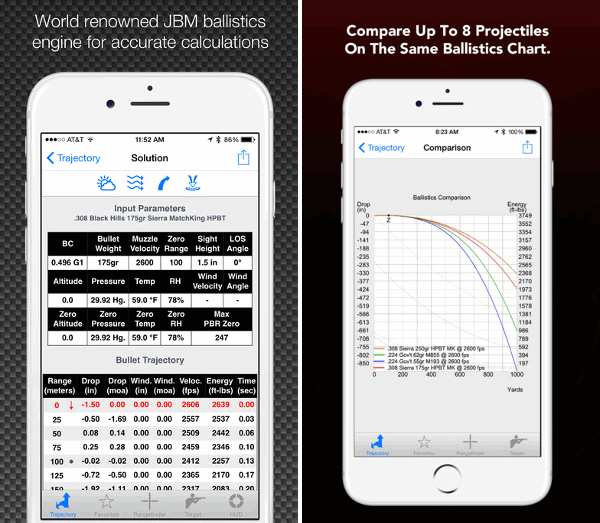 Share the post "Input Key Variables Correctly for Ballistics Apps"
Ballistic app selection and link is for iPhone only? Is the theory that nobody uses Android and shoots long range? That how to video is my video, I helped with some of the beta testing on the early ballistic ae. Being in Ohio I meant DCM NRA shooting up at Camp Perry every year. Starting out with small bore then doing Hi Power so I got out of high school and then doing ipsc and later doing IDPA. and then later getting into the long-range game and doing PRS type competitions for probably the last 15 years I believe. And then I’ve been teaching long range precision shooting for around the last 10 years. 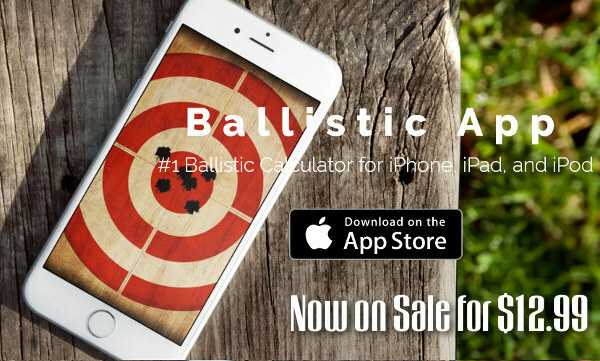 besides ballistic AE my other Top Choice for ballistic software that covers Android is shooter ballistics. Another tip I would share for easily measuring your scope height. Is almost every rifle has the safety vent hole drilled into the side of the receiver that is Centerline cheer bore access so if you measure from that whole to the Centerline of your scope above it will give you an accurate measurement.. When it comes to finding accurate BC data. Always go to litz First. Sometimes you may need to tweak the data a little oh, because your individual rifle can affect the BC slightly. But before doing any of that you should always calibrate your scope first doing a tall Target test. 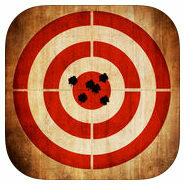 Because without that you end up chasing your tail and circles trying to figure out why your data is in matching up at a distance..
There’s lots of choices out there for ballistic data besides these two apps. I have used almost all of them. When the correct data is put into the different apps. They are almost all identically the same in their output data. I say almost, because without naming names. Some of the apps just aren’t as accurate as some of the other apps when you start pushing 1000 yards or Beyond.. Some apps have some pretty cool features as well. But when it comes to ease-of-use and best menu layouts for features used, I still come back to Shooter ballistics, and Ballistic AE is my top two choices. If any of the above is unreadable, it’s because I’m using voice to text to write this as I’m driving to work. Is it just me or is that a pellet rifle in the picture up top? If so, cool! We need more airgun exposure here, it’s a gem in the shooting world. Anyone follow the airgun benchrest “Extreme Benchrest” competition? Great shooting and awesome technology. I have the iphone version… it is different software than what your video shows. I find the program less than intuitive. Anyone got a suggestion? I’ve used Strelok Pro for several years now , and find it to be a solid app. Just insert accurate data in the program , and you’ll get a workable solution . Always puts first shot “on paper” for me . The longer I use it , the more confidence I have with it , and I shoot many different ranges and altitudes .